Kari Spurlock's fifth grade class at Sonora Elementary had been working on a service project benefiting the Children's Safety Center as a compassion in action step in the Jesse Lewis Choose Love movement. The class divided into committees and set out on their mission to have the entire school compete as to which grade could donate the most supplies. As they learned about the Children's Safety Center's programs, one student in-particular felt compelled to make sure this project not only motivated the students to give, but the community as well. In the child's circle they are explaining that they came to the Children's Safety Center where they got help, they received presents for Christmas, receiving made them want to give donations and they're asking you to help as well. 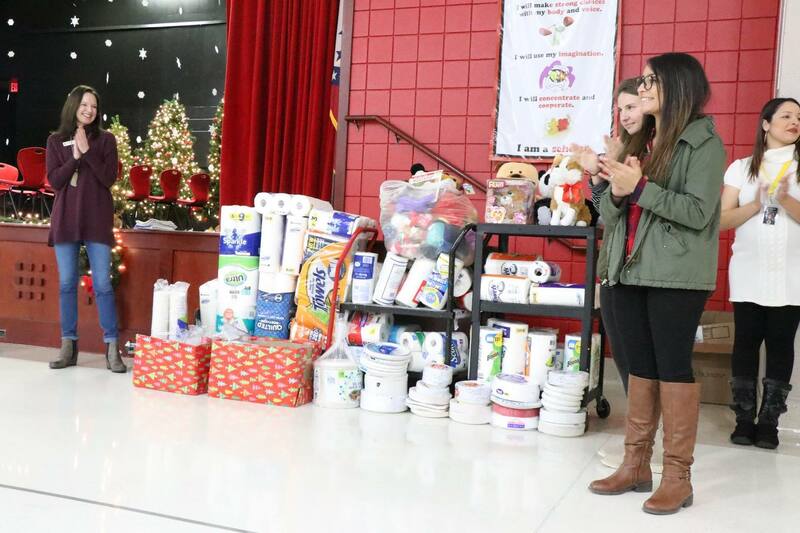 Our staff was invited to their school's Christmas program where Mrs. Spurlock announced the winners of the contest and presented us with all the donations that the children brought. She then read this child's letter to the entire school with their permission. There wasn't a dry eye in the house and all of the kids celebrated this child's bravery. 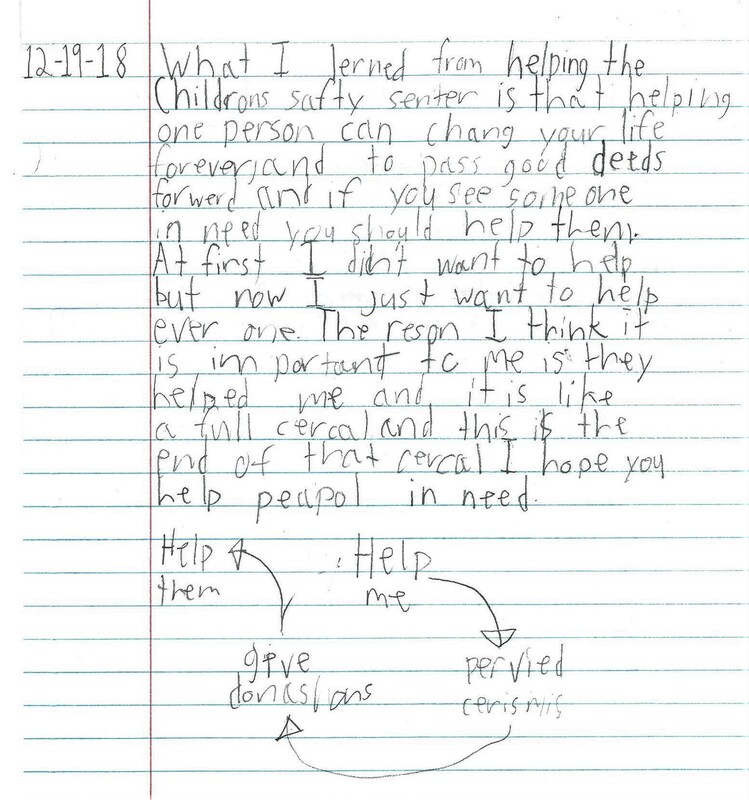 This is why the Children's Safety Center is so important to the children we serve everyday. Over 850 this year alone to be exact. That's a 24% increase over 2017. YOU can help every story behind every handprint become a full circle.